Does Rep. Steve Lebsock’s Lie Detector Erase Allegations Of Sexual Harassment? Steve Lebsock, the state representative accused of sexual misconduct, has again gone on the offensive, this time to say that he’s taken a lie detector test that clears him of any wrongdoing. A fellow Democrat, Rep. Faith Winter, is among two women to file formal complaints alleging sexual harassment against Lebsock, who is also campaigning to be Colorado’s next treasurer. Lebsock has repeatedly said he deserves the chance to face his accuser and took the test because he said the complaint process is progressing too slowly. We first broke those formal allegations by Winter and Holly Tarry, a former lobbyist, who have both complained to legislative leaders that Lebsock propositioned them and acted inappropriately. Nine other women including Cassie Turner and lobbyists Kristen Thomson and AnnMarie Jensen have also said Lebsock harassed and intimidated them. The lie detector test is also known as a polygraph. “The tests themselves are not supported by scientific evidence,” said William Iacono, a professor of psychology at the University of Minnesota. He has served as an expert witness in 50 trials and published many papers on the topic. He said there are some reasons to use the test, such as interrogations or for probation and parole supervision. Winter answered Lebsock’s press conference with one of her own at the Capitol. She has accused Lebsock of unwanted sexual advances, vulgar language and grabbing her arm and elbow to force her to leave a party with him at the end of the 2016 legislative session. She first spoke about the incident with us, then filed a formal complaint. She said Lebsock received a full copy of the complaint three weeks ago. “One of the major flaws in the system is that the accused gets the accusers complaint before ever being questioned so they can craft responses,” Winter said. She said that she stands by her account 100 percent. She dismissed Lebsock’s polygraph test as a stunt. An outside company, Rocky Mountain Employers Council, is investigating Lebsock. For Lebsock, it’s a political conspiracy to get rid of him. Gov. 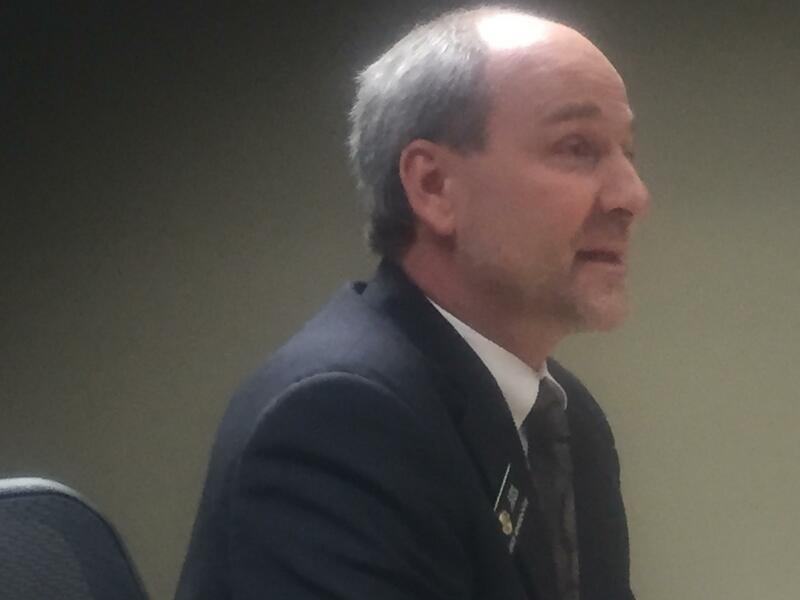 John Hickenlooper and House Speaker Crisanta Duran have called on Lebsock to step down. Lebsock reiterated something he has said for weeks now: he won’t resign from office or drop out of the state treasurer’s race.